I finished this one just in time to bring to Spectrum Live. I had done the sketch to pitch to a client for another gaming mat. They were looking for something a bit more aggressive and didn't go for it (which I completely understand) but I liked it enough to paint it anyway. I am going to look into producing a run of gaming mats on my own with the image. Original is 17 x 29 oil on paper on board. Thanks guys. I am quite happy with how it turned out as well. It got a good response at Spectrum Live and I have had a few nibbles on the original as well so I am glad I took the time to paint it. I'm surprised they didn't go for it. 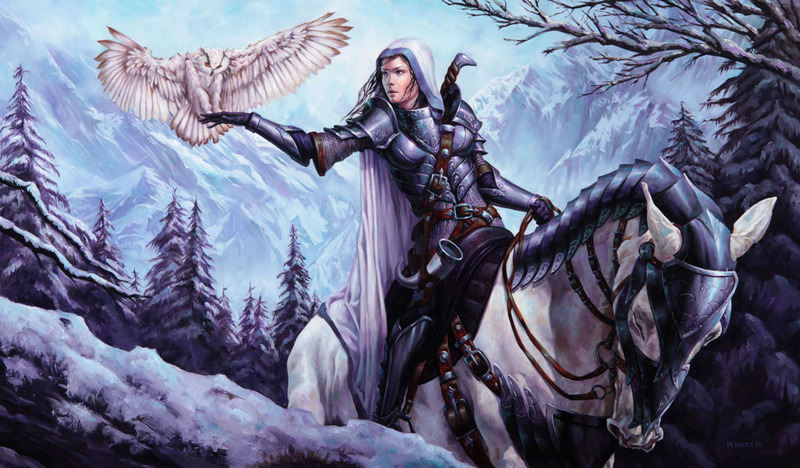 A beautiful woman in plate armor with a bird of prey. What's not to like? Great piece man, and it was great talking to you at the show.